One of the biggest mistakes made by affiliate marketers when they first set up is failing to recognise that they are actually starting a business. Consequently if you want to be successful you need to have the right mindset and manage your business accordingly, not doing this is the one of the fastest roads to failure. If you look at it from another perspective you are establishing a marketing company and your websites and affiliate links are your assets which you can build to be as big as you want, you are only limited by your time and imagination. It’s important to have your own domain(s) and website(s) for several reasons. One is that you have complete control over what you choose to promote, and what ads and banners you want to put on your site. You can create an eye-catching professional layout or have someone do it for you if that is beyond the scope of your abilities. Secondly you are able to have your own personalized email and you appear far more professional when you have your own domain, as opposed to having freebie hosting without a decent or keyword enhanced name. An extra benefit is that your website and domain are assets that can be sold down the track if you choose and if you have developed them properly. You can buy a domain for around $10 and monthly hosting can start as low as $6.00 per month, so it’s well worth the small investment. All marketers know you need to get traffic to your website, to click on your banners and ads to make money, no clicks – no sales. But getting traffic can be hard work. Even when you get visitors to your site you generally only have one shot at nailing their business. What you need to do is build up a customer list so you can get repeat visitors. You can do this by creating a signup form on your website for your newsletter or offering a free downloadable gift or service in return for your visitor subscribing to your list. Once you have established a list you can email your customers with your offers and promotions on an ongoing basis. Don’t just contact your list when you are selling something, try and share useful information or advice, try and build trust so your customers will know to value what you are offering them, and buy from you when you do have a promotion. It is generally accepted that your list has a value of $1 per customer, so again another asset to nurture and build. The lifeblood of affiliate marketing is traffic, but not everyone can get on the front page of Google so where else are you going to get traffic? Unless you want to pay for it and that can be very costly. A few methods you can explore are: writing articles, press releases, posting in forums, commenting or guest posting on blogs, offline advertising, and classified ads. You don’t have to do everything at once, start off with one, master it then move on to another. It’s important to test your results, check to see which method is most effective and keep doing that. There are several ways that a person can earn extra income. They can take on a new full-time job using up every extra hour of the day that they have order to generate more revenue. If they are married, they can each take a part-time job to supplement their income to make ends meet. Other people have decided to run with the new technologies of the day and create websites to earn money passively through what is called Internet marketing. In this article, we will discuss various angles that you should consider when it comes to marketing online, especially in regard to how much effort you need to put into starting an online business that will generate passive income for years to come. Let's take a look at these tips now. Several companies on the web offer a complete package when it comes to doing affiliate marketing. Many of them host thousands of potential products to sell, most of which can be sold without too much problem at all. However, this means that you need to have targeted traffic reaching your website, people that will actually be interested in what you have to offer. One of the top downloadable digital product companies on the web is Clickbank. They offer products that will give you as high as 75% commission for marketing products for people that have their items for sale. They also have residual income products that place people on a continuity payment plan if they join their membership site. Although digital downloadable products are the wave of the future, you could still make money selling tangible products as well. One of the oldest, and also best, affiliate program website on the web is Amazon.com. They take affiliate marketing to a whole new level. They host millions of products that people are searching for each and every day. You make a very small percentage on product sales, sometimes as low as 4%, but if you are able to sell them in volume, it could easily replace any full-time job that you currently have now. The key is to choose products in categories that people really need, and you choose the right time of the year to sell these products so that you can make money. Unfortunately, selling both digital and tangible products can be difficult for the novice. 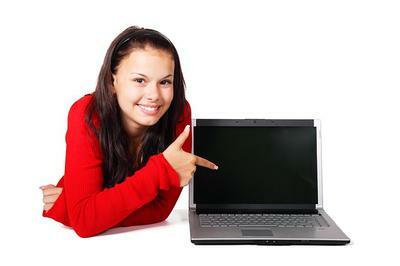 Affiliate marketing may also be a forum topic for newbies that are trying online marketing for the first time. It is always a good idea to purchase a couple courses on the topic of affiliate marketing to see what strategies are working best, and also what products will be the easiest to sell. It all depends upon what you have in mind in regard to the amount of income that you want to earn what you start marketing affiliate programs. One tip you can't ignore when doing this type of marketing for affiliate programs is to always choose your product or service wisely. Some companies are less than credible, and their products are subpar, yet still have a presence on these affiliate program websites. Some of the companies provide all of the statistics you will ever need, including which products are selling the most. This will give you a better idea of which product or service to choose when you start to market these affiliate based products or services. 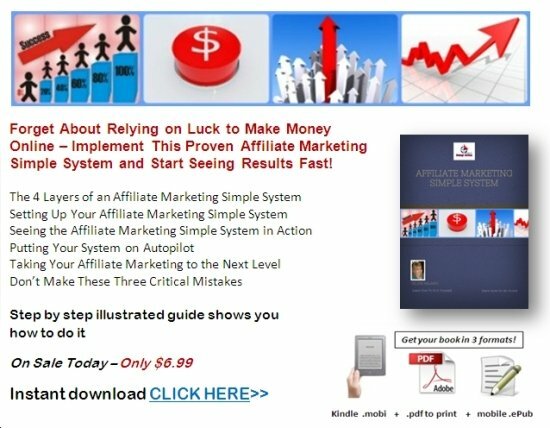 Using the strategies that we have presented in regard to choosing either a digital or tangible product, and also making sure to check on the veracity of the company marketing the product before you begin to sell it, you should be able to start making a good full-time income, or at least a part-time income, using these affiliate marketing strategies.